This is the most awkward time of year for produce. Our expectation in winter is that we have to rely on imported or frozen fruit, if we want anything other than snow to eat. During the summer we have all kinds of local options and even take them for granted by August. Right now, at least in MN, we’re watching the buds come out on the trees, the crocuses are popping up and we’re hopeful that it won’t snow again. But, it will. There is nothing but tasteless berries and wooden imported fruit at the grocery store. But, thankfully there is always citrus to cheer us up. It is not local in MN, although with our new classification of growing zone 5, it may just be a matter of time before I grow my own. But, unlike imported berries and stone fruits, citrus travels well and is juicy and delicious when it gets to us. I adore grapefruit. I think it is often overlooked; giving up the stage to its more popular cousins, oranges, limes and lemons. It is a more subtle, less sweet or tart than any of those. It makes great mimosas too. I digress. 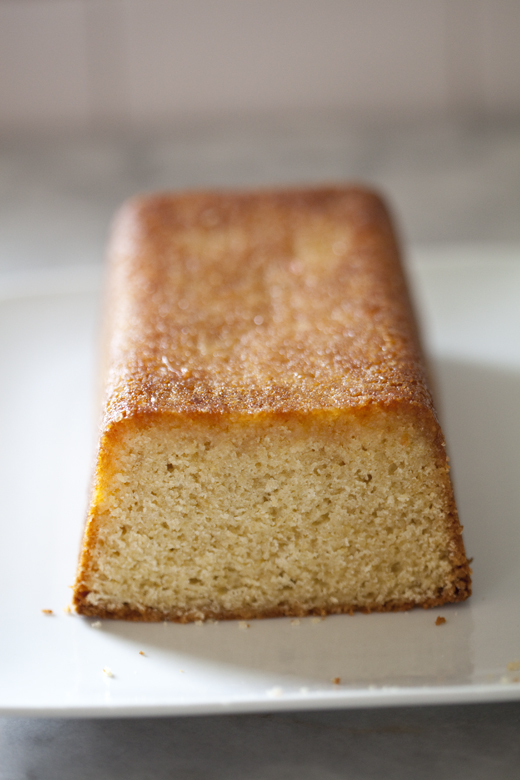 This grapefruit pound cake is based on a recipe from David Lebovitz’s “Ready for Dessert.” I’ve made his orange or passion fruit pound cake many times, but I like it even better with grapefruit. I also swap out the butter for a light olive oil. It is a wonderful rich flavor, but also creates a soft, moist crumb that lasts well for several days. Unlike butter, which gets a stiff crumb after just a couple days. Having said that, I’ve made it with butter as well and it never, ever lasts long enough to worry about the crumb on the second day. Grated zest of 2 grapefruits, preferably organic and washed well. 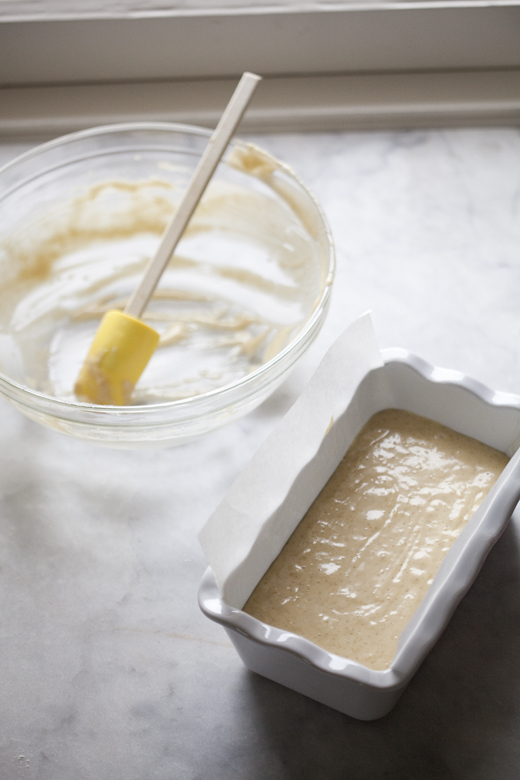 Grease a 9″ loaf pan with butter, line with parchment and grease the parchment with more butter. 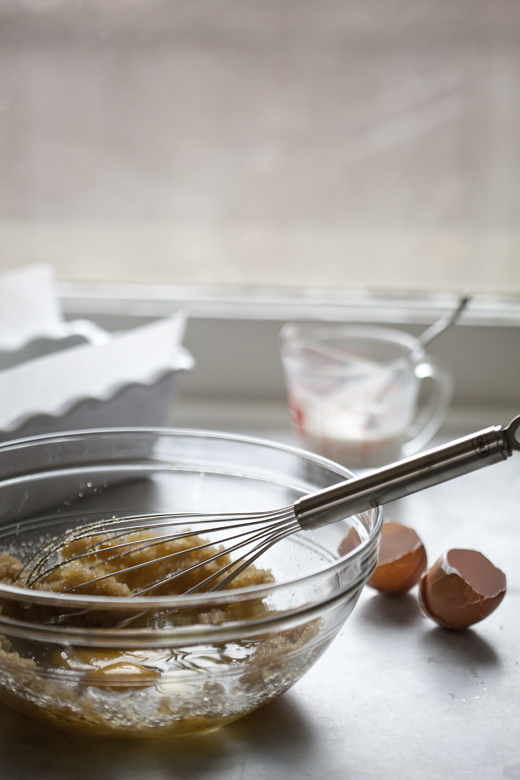 In a small bowl, whisk together the flour, baking powder and salt, set aside. 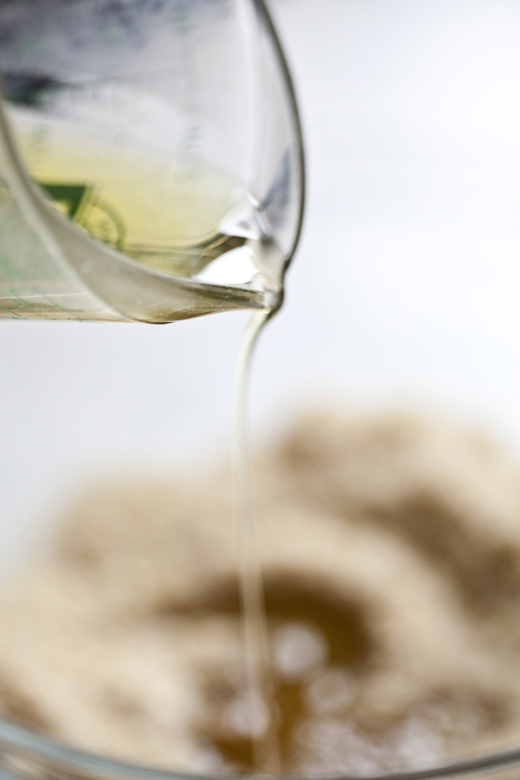 In a large bowl, whisk together the sugar and olive oil. Add the zest, eggs, grapefruit juice and vanilla, mix until well incorporated. 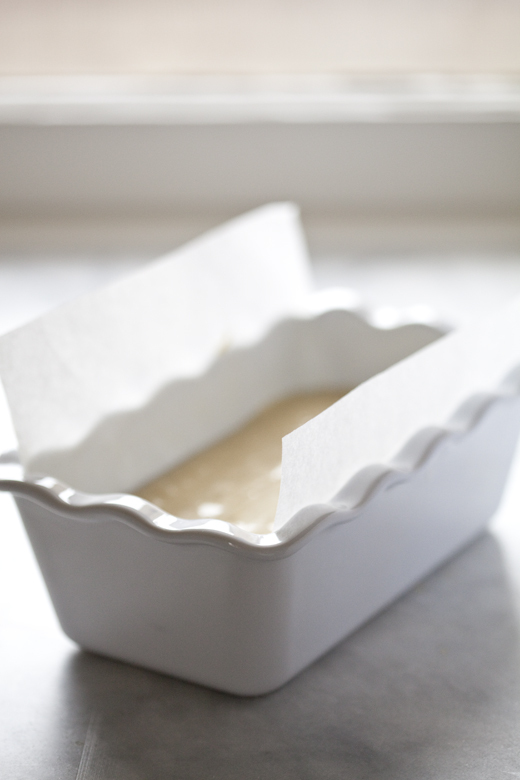 Fold the flour in just until there are no streaks of flour, but be careful not to over mix or the cake will be tough. The batter should come up no higher than 2/3 of the way up the pan. 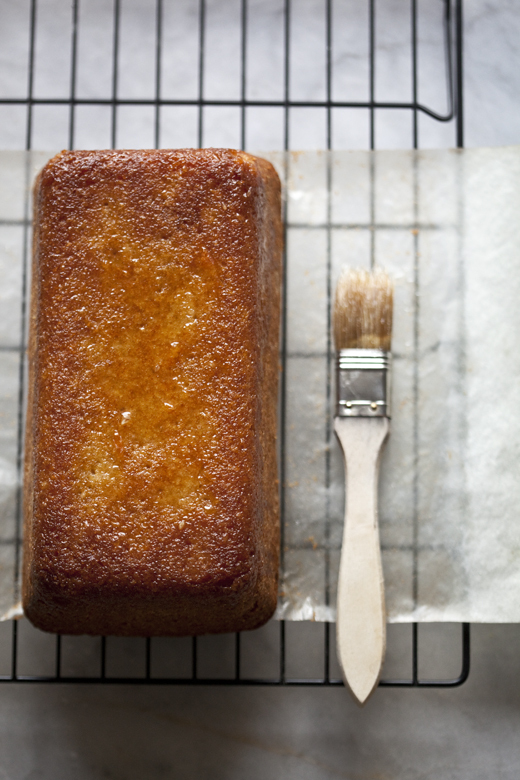 Bake grapefruit pound cake for about 1 hour, or until a tester comes out clean. Try not to over bake the cake. Let the cake cool for about 10 minutes. While the cake cools, heat the juice and sugar for the glaze. David suggests just stirring them together, not letting the sugar dissolve. I have always cooked them together making a syrup that will run through the cake. His way will create a crunchy top and mine gives a softer crust. Try both and see which way you prefer. Poke the cake with lots of holes with a skewer all over the cake and all the way through. You want many holes, so the glaze will go through them to moisten the interior crumb. Using a pastry brush, coat the top of the loaf with half the glaze. 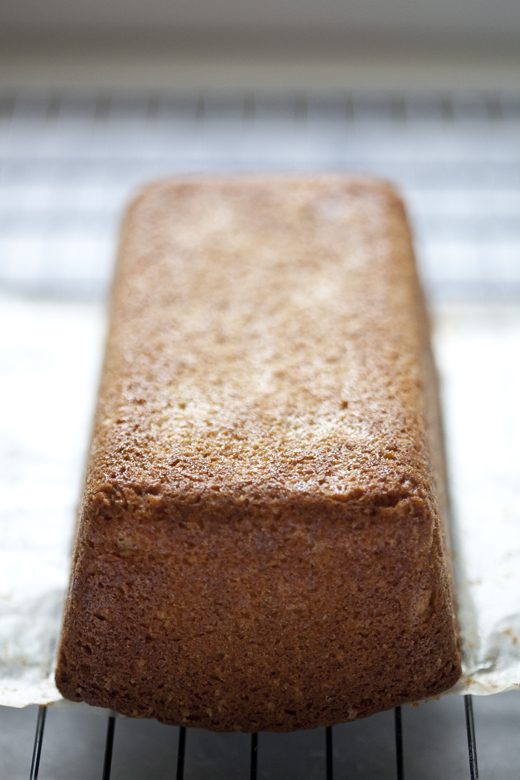 Remove the cake from the pan and repeat the soaking on the sides and bottom until you’ve used all the glaze. 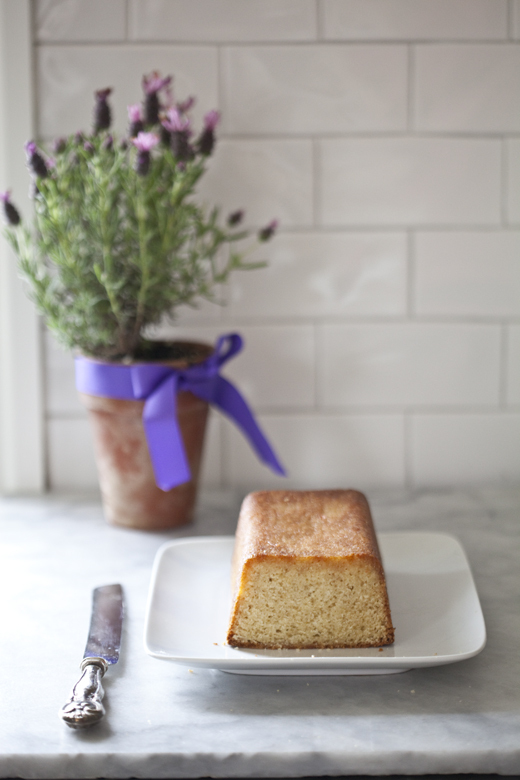 Allow the grapefruit pound cake to cool and absorb the glaze. It is wonderful all on its own or served with Greek style yogurt with a drop of rose water. I got this idea from Yotam Ottolenghi’s “Jerusalem” cookbook. Love when I get your emails. I can always depend on something that I can’t wait to try. I decide I will have to make this for my hubby–he loves grapefruit–He once adapted a lemon meringue pie recipe to make a grapefruit one. Sweet baby jesus! I’m coming over. Oh my gosh! I absolutely cannot wait to bake this! I love grapefruit and usually have one every day. I’m a bit crazy as I even like the white pithy part and the seeds! Thank you so much. 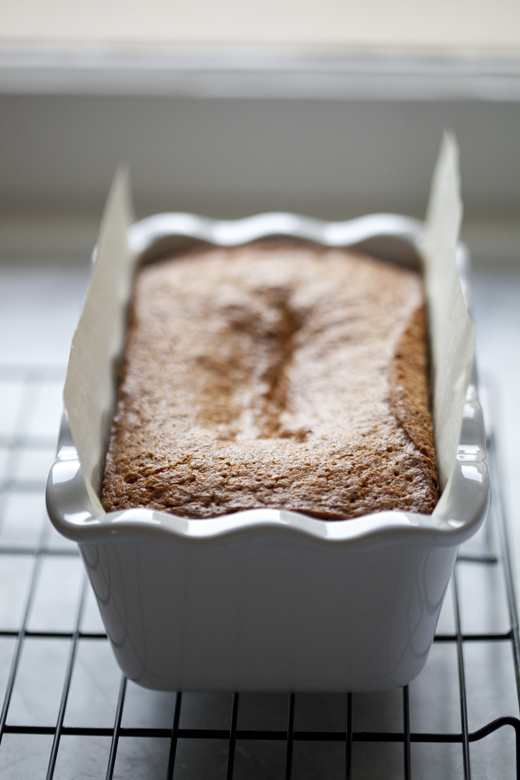 Anything baked in a loaf pan is fine by me. Made this for an easy dessert since I just happened to have all the ingredients on hand ( just love it when that happens!). I used red grapefruit. Also, the rosewater scented yogurt is genius. Makes a great breakfast treat with my coffee too! I might try tangerine next time. Thank you Zoe and David. That does look very good, but I’m most intrigued by how you serve it upside down. I love the flat top to the loaf cake. beautiful pictures…Very interesting combination, would a cream cheese and grapefruit combo work? Gorgeous light in your kitchen! I can almost smell this cake. I’d add chopped pistachios on top.